We take great pride in our riding school and strive to provide our clients with the best possible facilities to make your experience as enjoyable as possible. Our estate is situated on a large 6 acre block with many paddocks and stables to accommodate our huge variety of horses and ponies. 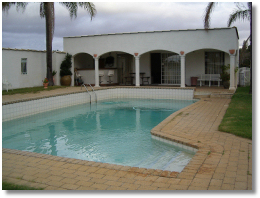 For our overnight camps we provide accommodation in a self contained pool-side Cabana as shown below. 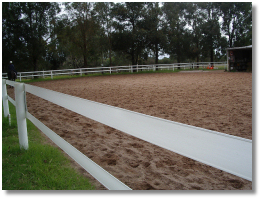 All riding lessons take part in our custom made equestrian arena, which meets stringent safety requirements. 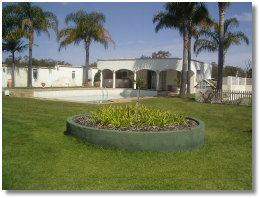 Being situated in Oakford, South of Perth, there is plenty of natural bush land and horse riding trails in the area. For further information, or to come out and visit us to see for yourself, click here.